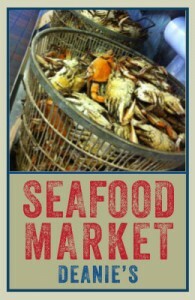 Deanie’s Seafood Restaurant and Market is recognized as one of New Orleans’ best seafood restaurants since 1961. In a town famous for great seafood, Deanie’s Seafood is in a class by itself. Our giant seafood platter is loaded with succulent fried oysters, shrimp, catfish, soft-shell crabs, and crawfish balls, and our boiled seafood is consistently rated by locals as one of New Orleans’ best. Join us at our original restaurant and seafood market in historic Bucktown, our French Quarter location at the corner of Dauphine and Iberville streets or our newest location, Deanie's Sea Food Kitchen, located at 2200 Magazine St., in the Garden District. 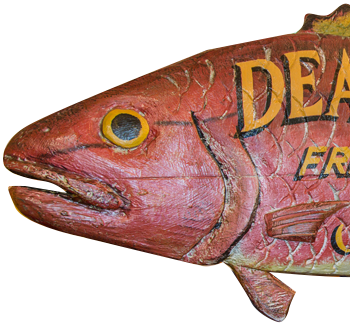 A local favorite in the heart of the French Quarter, Deanies Seafood offers a friendly local atmosphere and mouthwatering, authentic New Orleans cuisine cooked to perfection. Our original location has been in Bucktown-a fishing village along Lake Pontchartrain just west of New Orleans-for more than 50 years. Our newest location, Deanie's Sea Food Kitchen on Magazine Street, offering the same flavors as the legendary restaurant known for serving “New Orleans’ best seafood,” boiled seasonal seafood and a raw and charbroiled oyster station.